Nearly a third of all food produced in the world – more than 1.3bn tonnes – is lost or wasted every year. “More than 800 million people worldwide are hungry and the food that’s thrown away would be enough to feed them,” said Rodrigo Sardinha, chef at a Rio de Janeiro restaurant Gastromotiva Refectory that prepares meals for the homeless with donated food. 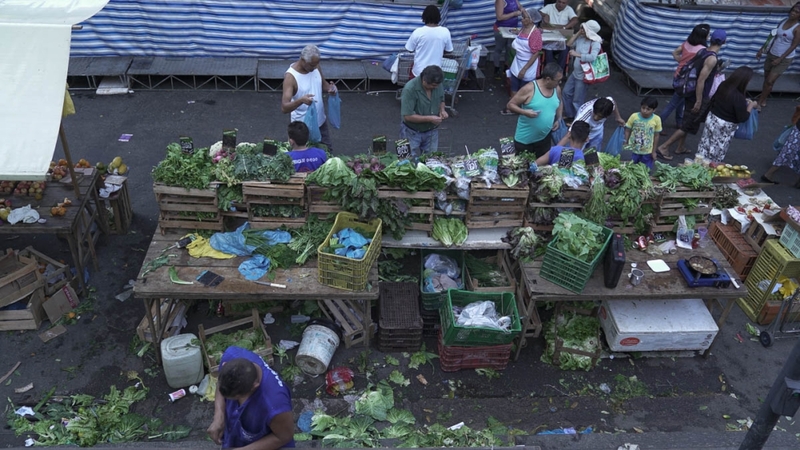 From all the fruits and vegetables that go to waste in Brazil, around 50 percent is lost while being transported and handled. While a lot of the waste results from poor infrastructure and inadequate planning, some food is often wasted because of a lack of training and awareness. “The most important thing is to promote change and to respect the food,” said Deise, an alternative cooking instructor that teaches young children ways to incorporate a less wasteful cooking approach. Next articleCan the UN maintain peace around the world?